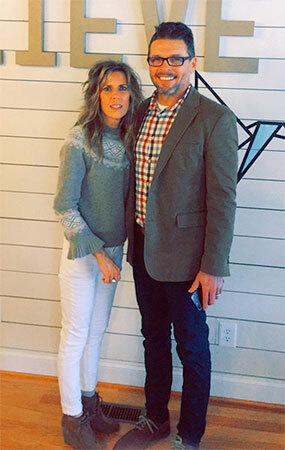 Chappell with her husband David.Lisa Chappell enjoys the summer sun, spending time outside and relaxing on the Coosa River at her Gadsden residence. Now, after being diagnosed with melanoma in 2015, she is much more cautious about her outdoor habits. Chappell noticed a mole on her upper thigh had changed color and immediately visited her dermatologist. She was quickly advised to visit doctors at the University of Alabama at Birmingham, where she met with Carlo Contreras, M.D., assistant professor in the Division of Surgical Oncology and associate scientist with the UAB Comprehensive Cancer Center. Chappell met all the criteria for persons who are at risk for developing melanoma — red hair, light skin tone and chronic sun exposure. “I was scared because I have a history of cancer in my family,” Chappell said. Skin moles are very common, and fortunately the vast majority of skin moles do not transform into melanoma. Melanoma often appears as an enlarging skin mole, either flat or raised. Moles containing melanoma are usually darkly pigmented, but can take on a variety of colors. In addition to rapid growth, moles with an asymmetrical shape or irregular borders are also concerning. 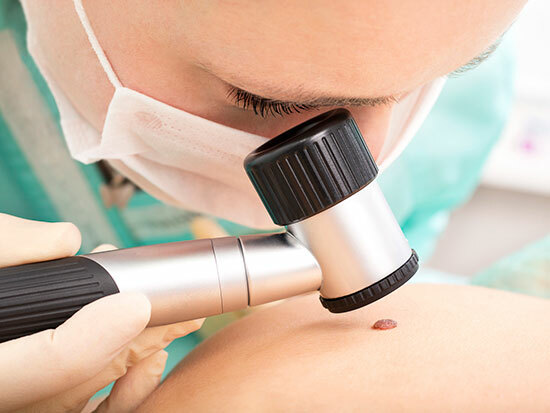 Overall, new or changing moles should be examined by a dermatologist, surgeon or primary care physician. C. Blake Phillips, M.D., an assistant professor in the University of Alabama at Birmingham Department of Dermatology, did not treat Chappell, but says anyone with areas of concern on their skin should see a dermatologist. “If you have a first-degree relative with melanoma or you have many dark moles, it’s a good idea to have a baseline skin exam by a dermatologist.”Chappell’s mole was removed, and after testing, results showed that the melanoma had unfortunately spread to her lymph nodes. Contreras suggested a minimally invasive type of lymph node removal for her melanoma in the groin and in the pelvis. This unique operation is one Contreras developed at UAB’s Comprehensive Cancer Center and is not offered anywhere else in Alabama. Contreras’ minimally invasive approach uses six small, laparoscopic incisions, and patients can usually go home the next morning. The recovery at home is much quicker, meaning patients can get back to doing the things they love earlier, or they can start chemotherapy earlier if that is part of their regimen. Chappell says she now takes all the necessary precautions — like wearing sunscreen with a SPF value of 30 or higher every day and wearing a hat and sunglasses — to ensure she doesn’t have to have another scare. “I still love relaxing by the river, but now I always reapply sunscreen and make sure I’m doing things the right way,” she said. Doctors in the Division of Surgical Oncology are committed to providing personalized, comprehensive care for patients with a broad array of benign and malignant tumors, often working in collaboration with other departments across UAB’s medical campus to guide patients through the surgical decision-making process and provide innovative, advanced diagnostic and therapeutic options.